IRIS Data Management Center which facilitates the data archival, distribution, and processing for Earthscope and other seismic observatory networks. PhD trainees will be required to complete at least one summer internship, with the potential for travel support. 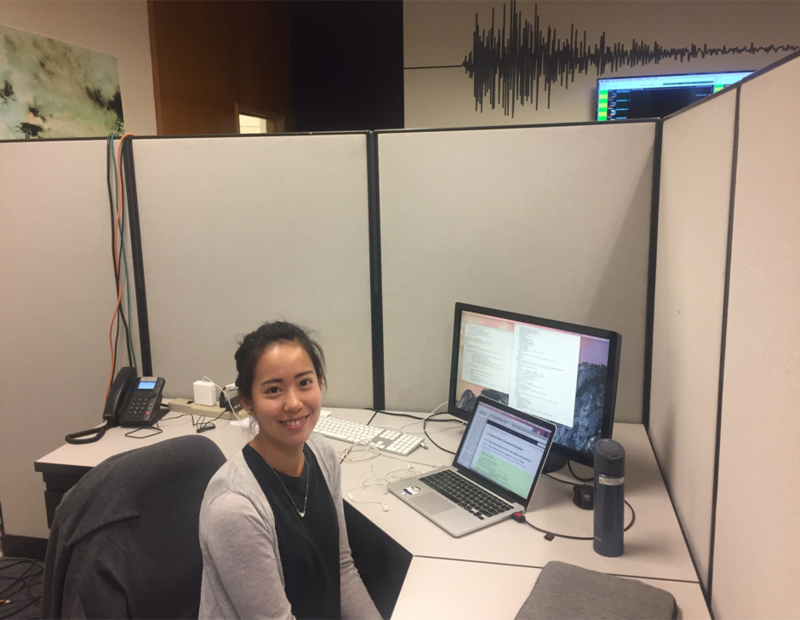 Trainee Vivian Tang participating in her Summer Internship at IRIS in 2017. Trainee Boris Rösler participating in his Summer Internship at IRIS in 2018. Alice is a 2017 and 2018 IDEAS Fellow and a Ph.D. student in the Department of Electrical Engineering and Computer Science. She interned at Cadre Research Labs in Chicago, IL. 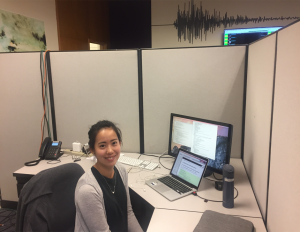 During this internship, Alice implemented an algorithm for automatic denoising of 3-dimensional high-resolution scans of firearm cartridge casings. The algorithm for denoising was implemented with the use of computer vision methods in C++. In addition to this, Alice implemented and trained a deep Convolutional Neural Network (CNN) in Tensorflow to perform automatic semantic segmentation of these firearm cartridge casings. Her work at Cadre Research Labs provided her with a hands-on opportunity to apply her Machine Learning knowledge and coding skills, acquired through the IDEAS tutorials and courses, to the topic of 3D scan processing. She still uses her knowledge acquired as a result of her internship to her laboratory work at Northwestern, where she trains Deep CNNs for the problem of image and video recovery. 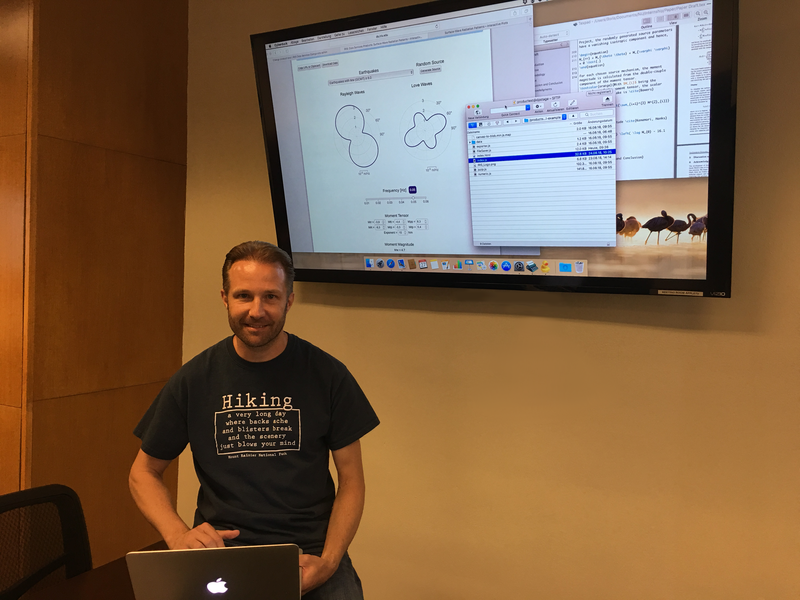 Boris is a 2017 and 2018 IDEAS Fellow and a Ph.D. student in Seismology in the Department of Earth and Planetary Science. He interned at the IRIS Data Management Center (DMC) in Seattle. He developed a new data product which shows the patterns of seismic energy radiation by azimuth around the epicenter for Rayleigh and Love waves. It provides reference for all seismologists studying the surface waves of a specific event by predicting ground motion at different azimuths around the epicenter of an earthquake. For all events with moment magnitude Mw ≥ 6.0, the product provides plots based on the source mechanism reported by the Global CMT Project. The event-based radiation patterns are accompanied by an interactive plot based on source mechanisms chosen by the user. After receiving information about the source mechanism of a new earthquake via a web service, the new data product updates its data base automatically and generates radiation pattern plots based on the source mechanism. The goal of his internship was to establish an unsupervised process to keep the product’s data base up to date and to provide an instructive, yet flexible environment for the presentation of the radiation patterns. The development of the new data product was a team effort with experts in different fields working together. Acquiring knowledge about the required processes for the functionality of a data product and adapting code to a specific environment were among the most important lessons learnt during this internships. After becoming publicly available through the website of the IRIS Consortium, the new data product has been presented at the AGU meeting in Washington, DC and is expected to gain further attention after the SSA meeting in Seattle, WA later this year.